Push the Select button for a comfortable on/off control of the water flow, then effortlessly adjust your desired temperature. The premium Ceramic cartridge gives you precise control over the water flow. 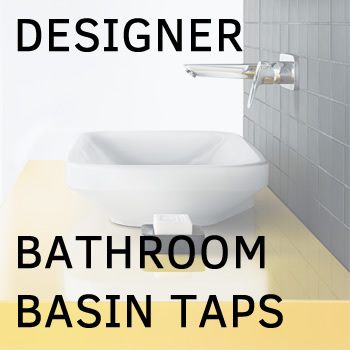 This Talis Select bathroom tap has futuristic and non-comforming design. Push the Select button for a comfortable on/off control of the water flow, then effortlessly adjust your desired temperature. The premium Ceramic cartridge gives you precise control over the water flow. With Hansgrohe smart water-saving technology that reduces flow rate of 5 litres/minute, you use significantly less water than with conventional taps - without sacrificing user comfort and functionality. If running with a pump, the pump needs to be a universal negative head pump and suitable for high pressure only.